Since December 2016, the Indonesian government blocked nearly 800.000 websites. 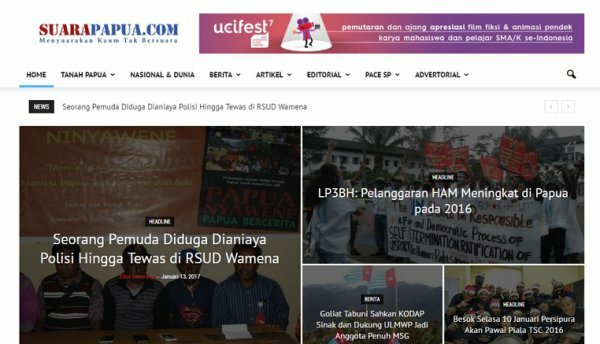 Journalistic web sites that did not register with the Press Council were censored, including surapapua.com. This website regularly covers human rights violations in West Papua such as, for example, the detention of peaceful protestors. The Legal Aid Institute for the Press condemned the government’s shutdown of surapapua.com, regarding this act as a violation against the freedom of press under Article 18 of the 1999 Indonesian Press Law.